Happy Tuesday dolls! When I find a beauty product I love I can't help but talk non stop about it, and that is exactly how I feel about Glo Minerals Cream Glaze Crayons. I love Glo Minerals, you've heard me talk about them here and here but I am seriously dying over these shades they released for summer! Not only are the colors electric and gorgeous but the crayon makes for easy application and feels so luxurious. Also, they are enriched with Vitamins C and E along with Mango Oil and Shea Butter so it's like applying the perfect shade of chapstick without having to worry about reapplication anytime soon because the color lasts. 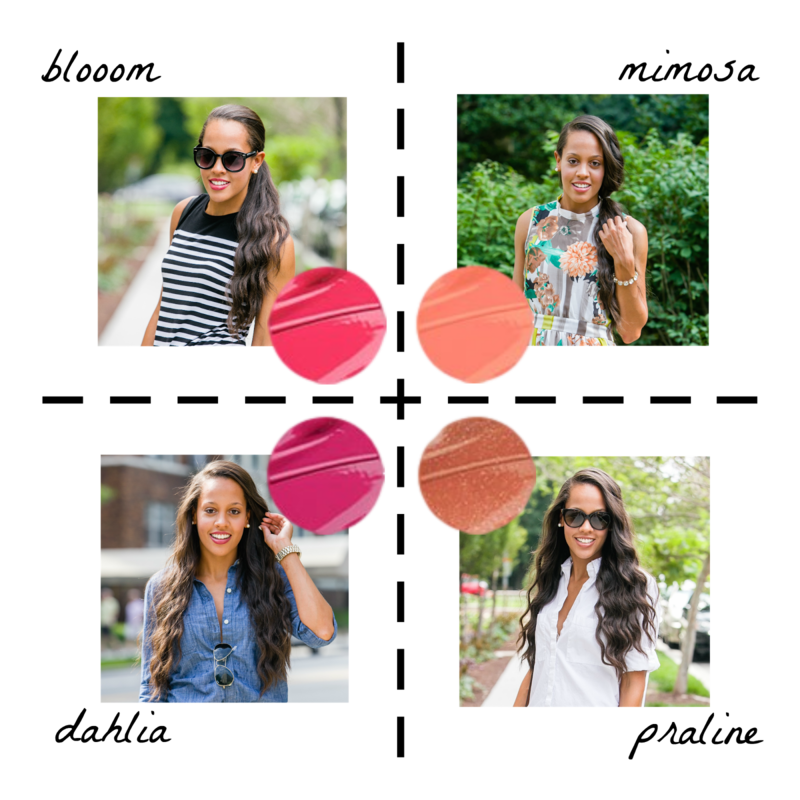 These four shades have been on serious repeat and I don't plan on stopping anytime soon. There are six shades to choose from in this summer launch and with code JASMIN10 you can get 15% OFF your order!